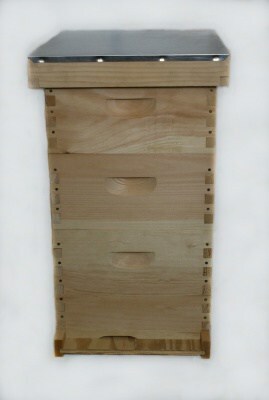 The First Year Hive is designed for the first year beekeeper that is scheduled to get their bees early in the season. This is a complete bee hive kit. Two medium honey supers will, under normal circumstances, be your first year honey production. The hive body is made from Eastern White Pine from the New England area. Made in Toccoa, GA. Plywood is from Georgia grown pine. 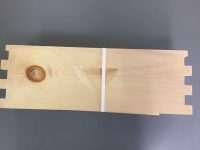 You will receive the following items: (1) solid bottom board, (1) entrance reducer, (1) brood box, Brood box frames & foundation, (2) medium super, super frames & foundation, (1) inner cover, (1) telescopic cover. All medium and deep hive bodies come with pre-drilled holes for the 6D nails. This greatly reduces the problem of splitting the wood body. Hive does not include hammer, glue or 6D nails for unassembled hives. You will need to paint the exterior of the hive to seal the wood for long lasting use.